Using 42GameChanger at our booth changed the whole dynamics forthe better. Unlike previous expos and trade shows, we had an ice breaker to invite people over, talk to them, and experience our booth after enjoying our tailor-made game. The set up and preparation of the game, was specific and customized to our needs and messaging, which create a positive experience that the game knew how to deliver. The bottom line is, on the business aspect, it served our goals. We already used the product for 5 of our expos, and counting.  We use 42GameChanger because it brings us the crowd and the leads that we need. People come and play, they enjoy the game and then get interested and intrigued. It left people with good impression and made them come over and talk to us at the booth. This is something that happen less in the past. With 42GameChanger they get a full experience. I think it is the first time that the medical device industry has seen anything like this at an expo. 42 GameChanger turned into one of our main attraction at the trade show.People came by to play again and again, it was fun to see! Fun and engaging trade show games deliver a memorable experience that evokes a positive emotional response. Smart games are a creative and interactive way to get your audience engaged with your brand and line up to your booth. Use 42 GameChanger to grab the attention of trade show visitors and provide an interactive, brand experience that’s sure to break the ice. 51% of booth visitors leave the trade show requesting a follow-up. Grab our CMO’s guide for effective to help effectively generate trade show leads.